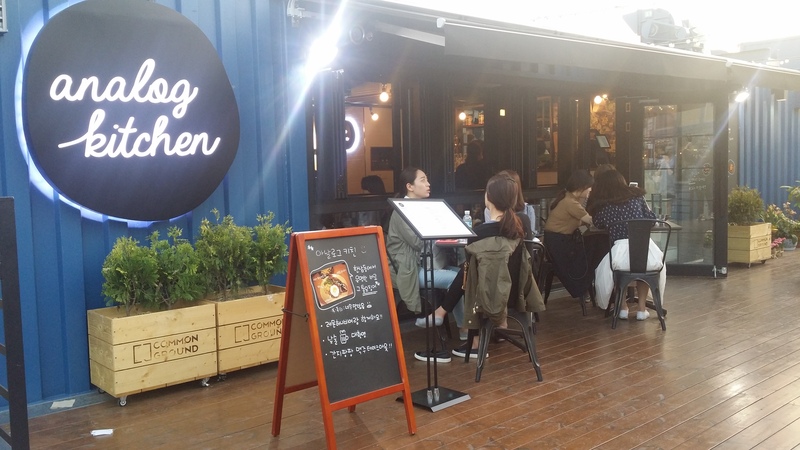 Do you know about ‘Container Park’? It’s a plan to renovate derelict sites in cities with recycled container boxes. As a helpful way of city designing, container parks in London and Las Vegas have been a local landmark for each city. 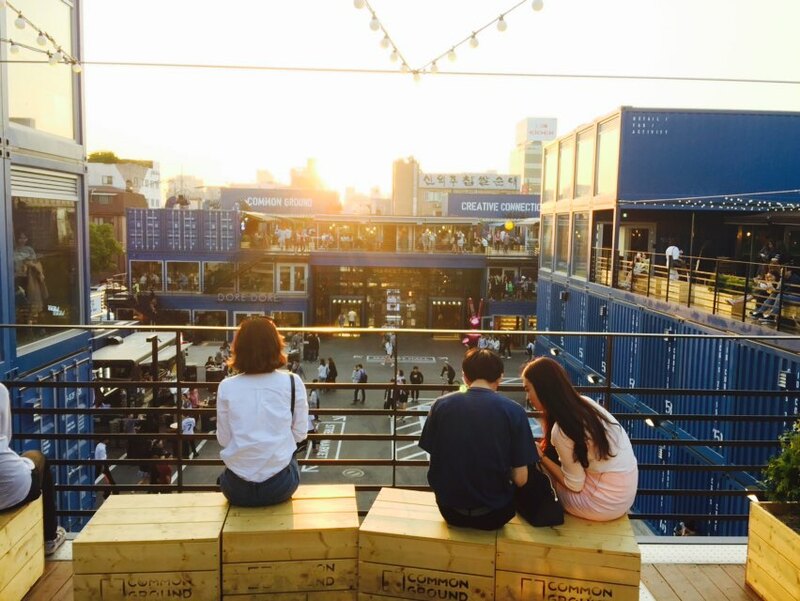 This unique container park, ‘Common Ground’, also opened in Seoul a month ago. Like the meaning of its name, it is expected to be a playground for everybody to have fun and communicate with each other. 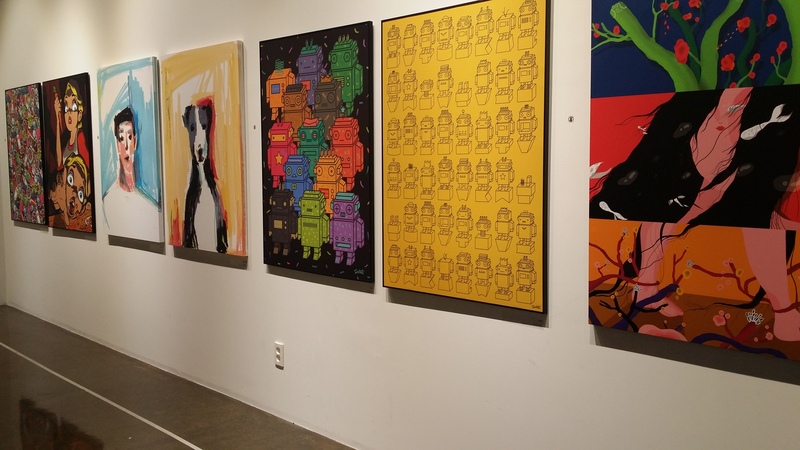 Last weekend, I visited there first to introduce you guys about the new place. 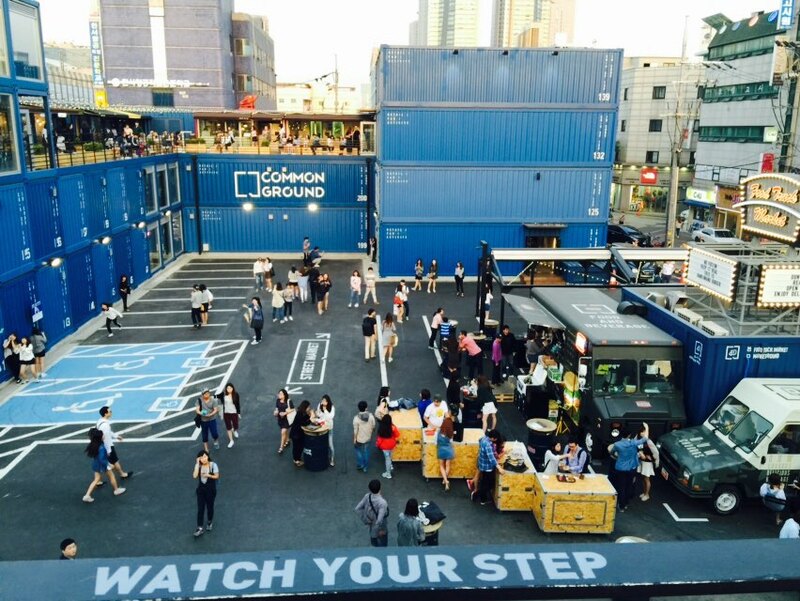 ‘Common Ground’ was built on a vacant lot near Konkuk University (건국대학교). Take the subway to Konkuk Uni. station (subway line 2 and 7) and walk for a while from exit 6. You may easily find the big blue container boxes. ‘Common Ground’ can be separated into three parts, ‘Market Hall’, ‘Street Market’, and ‘Market Ground’ between the two. 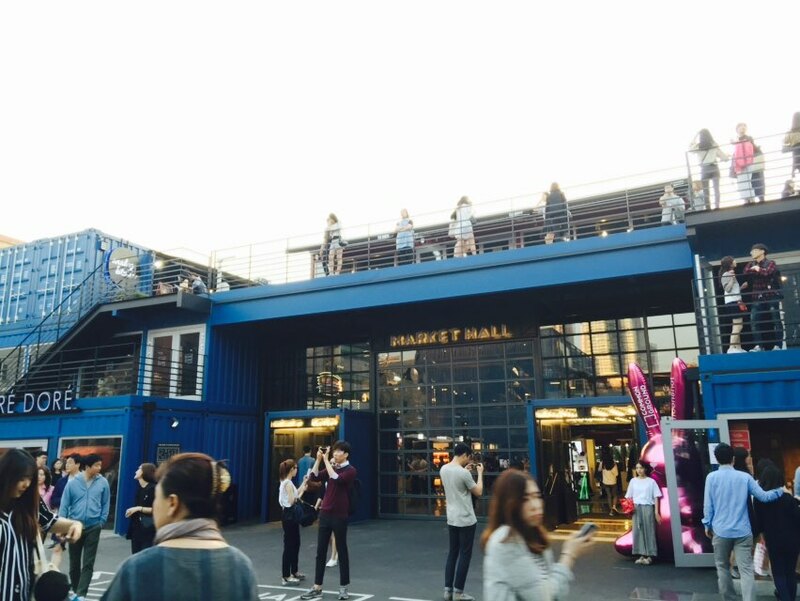 ‘Market Hall’ and ‘Street Market’ are three-story-buildings with piled container boxes. Unique street brands and rookie designers’ shops are located in these shopping places so you can find lots of clothes, shoes, and accessories with awesome design. 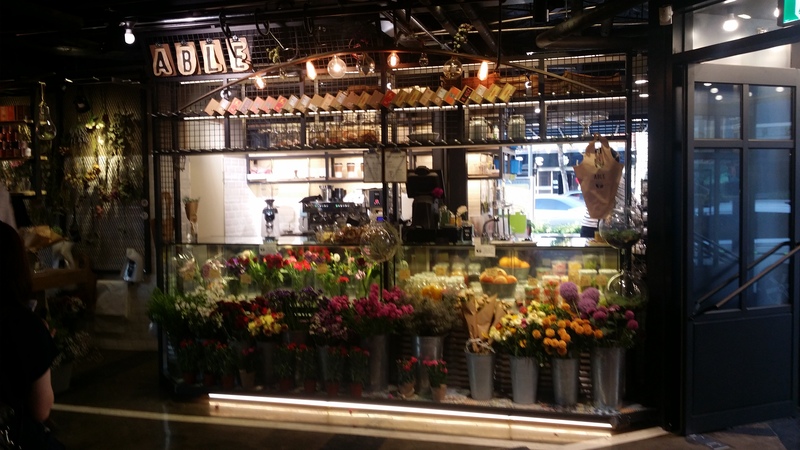 Not only the clothing shops, but flower shops, cafes, and small exhibition place are also in there. 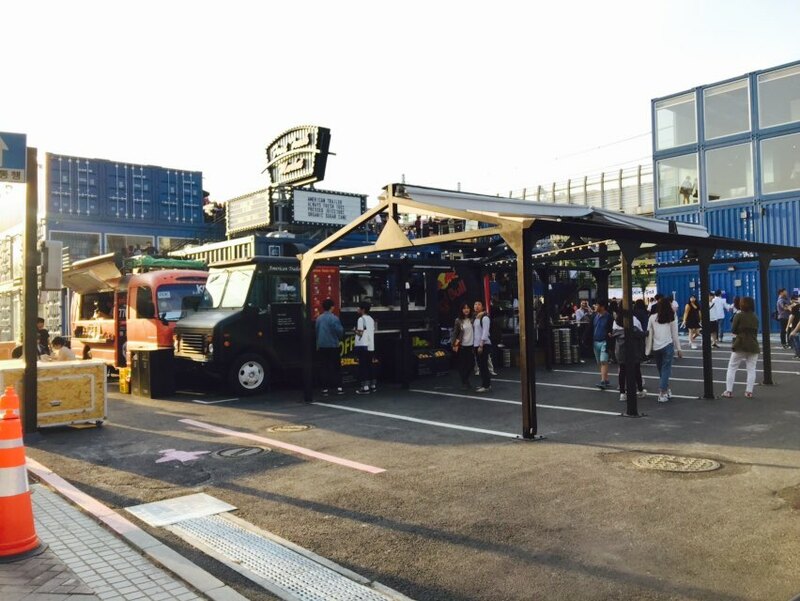 Between ‘Market Hall’ and ‘Street Market’, there is a ‘Market Ground’, a large square for food trucks and some performances. 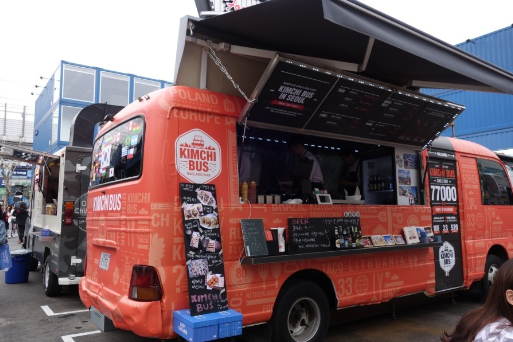 Colorful food trucks are selling exotic snacks so you can grab something to eat in the square. 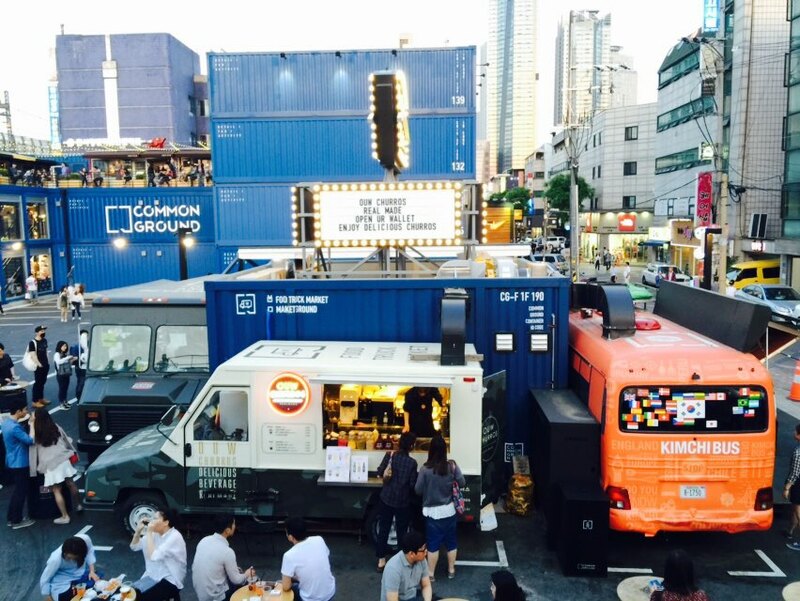 People were having a good time eating snacks or drinking beers with their friends or lovers at the food truck. And there will be some performances of popular musicians and bands at the ‘Market Ground’. Personally, the most impressive part was the terrace floor. Walking upstairs on the third floor, there is an open space with terrace. You can look around the whole park on the top, take pictures with your friends or take a rest on the benches there. There are also many restaurants selling tasty foods so you can enjoy your meals at the beautiful terrace. 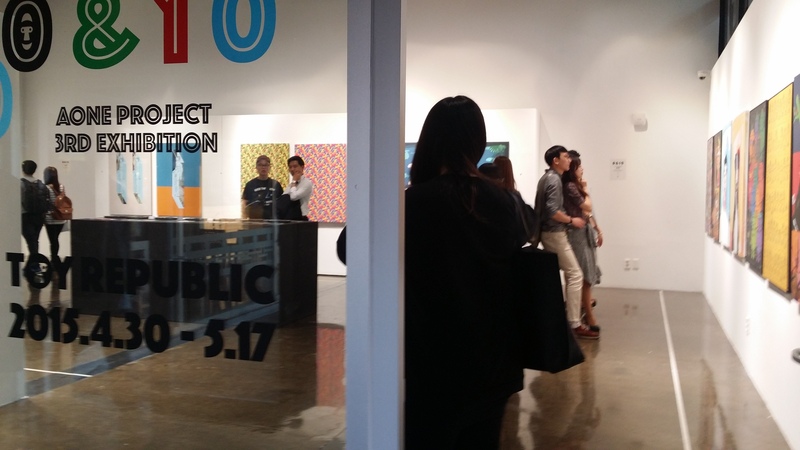 ‘Common Ground’ is a multi-place for shopping, eating, and enjoying cultural performances. I think it will be a trendy spot for dating out with your lover or hanging out with your friends. 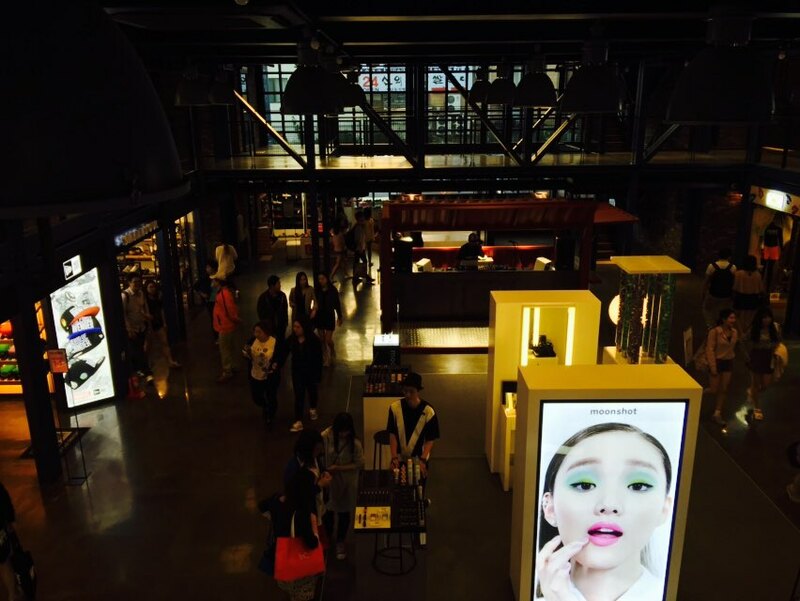 Also, it is really close from Wangshimni station so it will be great to visit there in your free time.